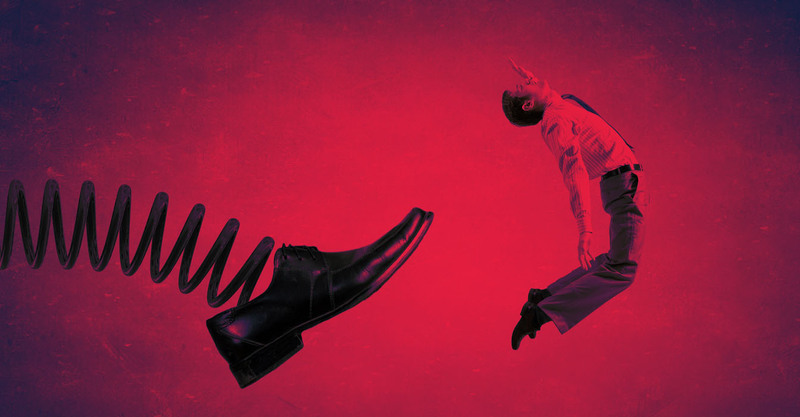 Avoid the horror stories, and let go of your employee the right way. You want to take your brand and marketing to the next level and need to cut ties to your web designer and/or developer, but are afraid it’ll turn into a lengthy and costly battle. Many businesses that approach our website design and development company for help are initially stressed about what needs to be tackled, and have even heard horror stories about websites being sabotaged. Here are the steps you can take to help make your transition to a new designer/developer or agency quick and painless, without burning bridges and losing valuable data. Have a qualified designer/developer lined up to ensure there’s no lapse in service. Web designers solve problems and create experiences through design, while web developers program a website’s functionality. Find a skilled person or agency that can provide guidance and help on the branding front with aesthetics, as well as the technical side, so you can ensure your website is fast, secure and search engine friendly. Note how much they ask about you. If they’re good, they’ll ask about your business, audience, goals and more. Look at sites they’ve designed, and see how versatile and professional the outcomes are. Do you like what you see? Find out if they have a structured, systematic planning process that leads you through the design phases, to help achieve best results. If they seem to ‘wing it’, then keep looking. Discuss SEO, website maintenance and timelines, to ensure your existing and future needs will be met. It’s important to set and have realistic expectations. You need to own your domain. Your domain may be registered with your web host, or it may be registered through a separate provider. Either way, you need to ensure you own the domain. You can see who it’s registered to by visiting whois.net and doing a search on the domain name. It’s quick and free! If your designer/developer registered it under their name, you’ll have to ask them to transfer it to you. You need access to your site. If you don’t have the necessary information, specifically the ID and password, you’ll need to request them. Your web host login is important to obtain your current websites files and database, as well as emails (if they are hosted there as well). Worst case scenario, if you can’t gain access, you can at least ‘mirror’ the site, so you’ll have a copy of it. Get CMS and FTP access. Less critical, but still important, you need your CMS and FTP login info. If you don’t have access to these, don’t sweat it — they can be reset and obtained through your domain hosting access. Once you’ve gained the necessary access and are ready to make the switch, change all of the applicable passwords. Also, be sure to change the passwords for your social media accounts if any past providers have had access to your social profiles. Write an email or call your past web designer or developer to politely advise them you’ve decided to make a change in your website management and will no longer be requiring their services. Thanking them is a nice, professional touch to help minimize disappointment. Be sure to look over any contracts you may have signed with them so you’re aware of any legal obligations, such as providing a certain amount of notice. Have written permission to use all of your imagery. Often overlooked, if your website features third-party photos, make sure you have a copy of the receipt or permission documentation to avoid legal issues and hefty penalties. If it’s been a few years since you’ve explored web design and development services, you’ll be impressed. The web industry has changed substantially to with new technological advances and trends. There’s a vast range of website options and functionality now available. Feel free to check out our website design and development portfolio for examples of leading-edge work. Or, to discuss options, contact us!